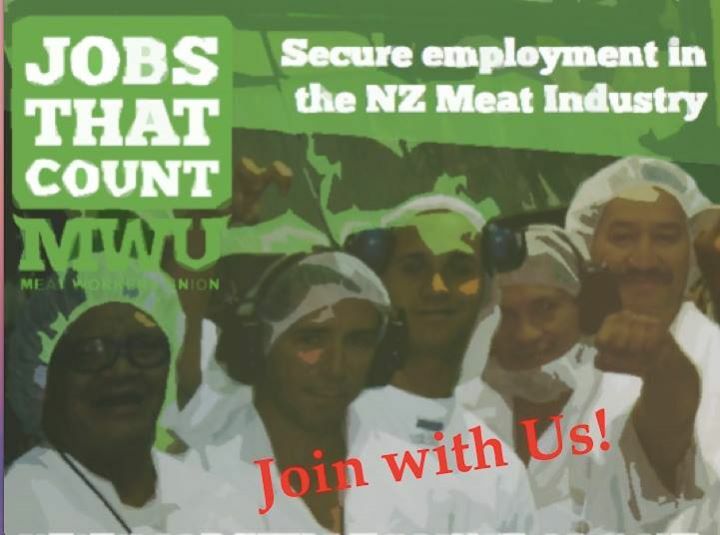 NZ Meat Workers Union launched a national campaign to highlight job insecurity within the meat industry. The union said in a statement that it will call on ‘Jobs that Count‘ for workers in the industry in an effort to help alleviate some of the major pressures meat workers face both financially and in the workplace. More than 20,000 meat workers provide labour for the industry "yet their job security is on more shaky ground than ever," the union said. Union National Secretary, Graham Cooke explained, "Seasonal work, dangerous jobs, casual and zero hours contracts, and increasing pressure on workers to join non-union individual agreements. As if that’s not enough, the Government’s recent Employment Law changes mean meat workers will face a tougher time settling collective agreements and earning a decent living." He said the union understands the industry faces challenges, "but we don’t believe workers and their families should pay the price." The Council of Trade Unions put its clout behind the campaign, citing a CTU report which found that at least 30 per cent of New Zealand workers are in insecure work. The Maritime Union of New Zealand welcomed ratification of the Maritime Labour Convention by the National Government. 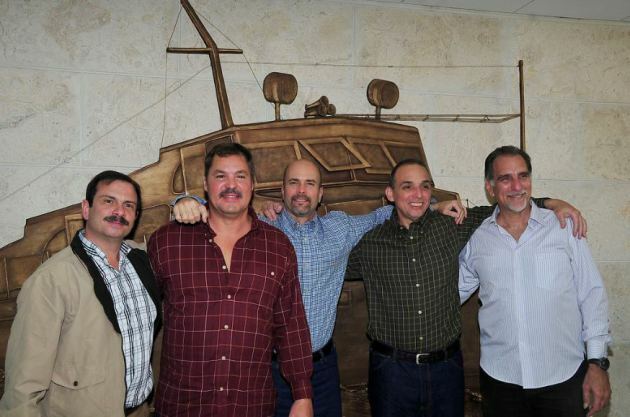 The union called The Maritime Labour Convention 2006 (MLC) a "seafarers bill of rights." The MLC is an international treaty adopted by the International Labour Organisation which lays out minimum rights for seafarers and promotes good employment practices across the shipping industry. The union has been pushing for years for New Zealand to be a signatory. "Most developed nations including Australia are signed up to the MLC and it was an anomaly that New Zealand was not," said Maritime Union National Secretary Joe Fleetwood. "The Maritime Union works with the International Transport Workers’ Federation (ITF) to recover wages and deal with crew welfare issues. We note that this work is done by the unions, not by the Government, and we deal with constant issues on flag of convenience vessels on the New Zealand coast," he explained. "The deregulated approach to this and other aspects of the maritime industry has been recognised as a failure, so now the move is back towards proper oversight of the industry by Government." He also expressed thanks to Business New Zealand for supporting ratification. Saturday, Jan 10th: Join Cuban Ambassador to celebrate return of Cuban Five. 6pm, Maritime Club, Anzac Ave. Please feel free to send a message if you cannot come to this celebration. Thanks to the Maritime Union of NZ for use of their venue.